news 25.04.11: The weather forecast was not promising, but in the end … the Easter weekend was great. 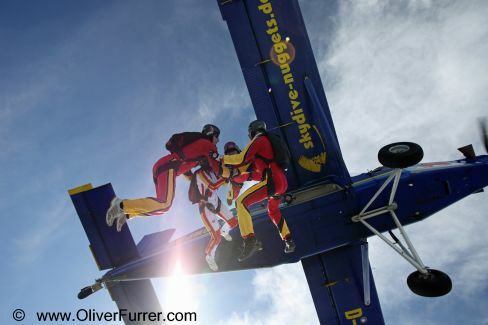 So the PULSEteam visited the German (Leutkirch) DropZone for three days and they did many freefly and wingsuit jumps together. Thanks to the good facility, the fast aircraft and the friendly people it was a pleasure for everybody to do all the fun jumps.